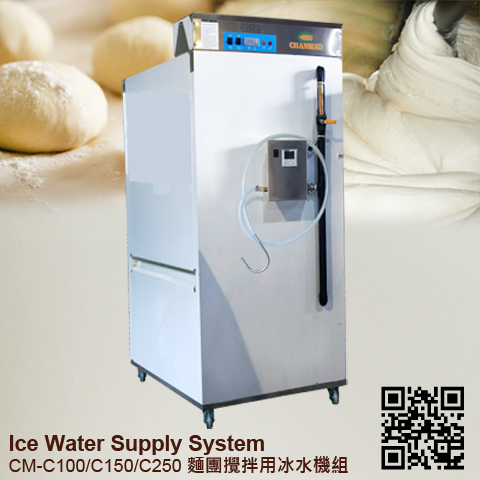 CHANMAG Ice Water Supply System help you to control the temperature of the dough after mixing. 1.The import strong compressor refrigeration system is to enlarge the power of machine refrigeration. 2.Design with stainless steel water storage tank is hygienic and durable. 3.Adopt the site of water supplying motor, no water restrictions and with stable water supplying. 4.Need to install the water filter device for different regional water quality.